James Elliott's class at 34 Music Square Eas at Belmont University in Nashville, Tennessee, January 23, 2019. 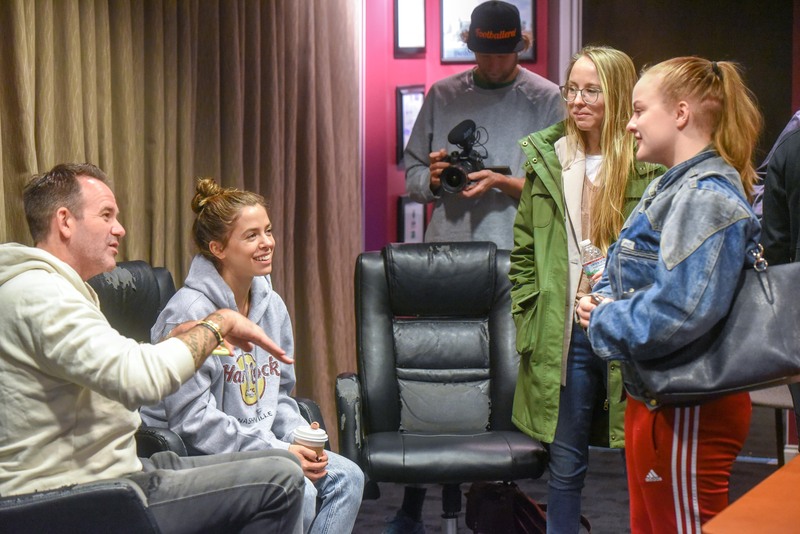 German pop-star Vanessa Mai recently visited Professor James Elliott’s Songwriting Senior Capstone class to listen to students’ songs. She was accompanied by International Music Executive Stefan Dabruck and Chelsea Kent, an SNG graduate, who is the General Manager of the SDM Management office in Nashville. Mai was in Nashville meeting with songwriters and producers preparing for her next album.